Agile World: Impact of culture on Agile practices –Why now ? 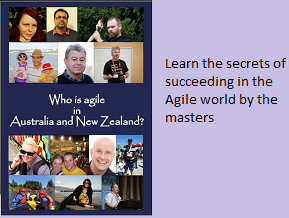 There are several forums discussing this topic of impact of different cultures on Agile practices. Have you wondered why is this topic suddenly gaining so much of importance now ?. Specifically, a lot of questions are being asked in the context of implementing Agile practices. “Individuals and Interactions over process and tools”, these interactions start highlighting the impact of culture on the way we work. In traditional waterfall model, interactions were minimal, and there was no demand on the people to do so. For example, there was no need for them to attend the daily stand ups to share their bottlenecks, there were no retrospectives nor show cases. In the next few days I am planning to write some articles on the actual impact of culture on some of the practices.